Guide Rail Packaged Sewage Pumping Station in 3 inch Rigged pump station suitable for all applications, domestic and commercial for foul, sewage pumping. Single dwelings up to 10 peaple. Also suitable for pumping rainwater. Specially designed to pump sewage and foul water in situations where a dwelling or facility is below the level of the main sewer line, these pumps are suitable for domestic and commercial use, and single dwellings up to 10 people. 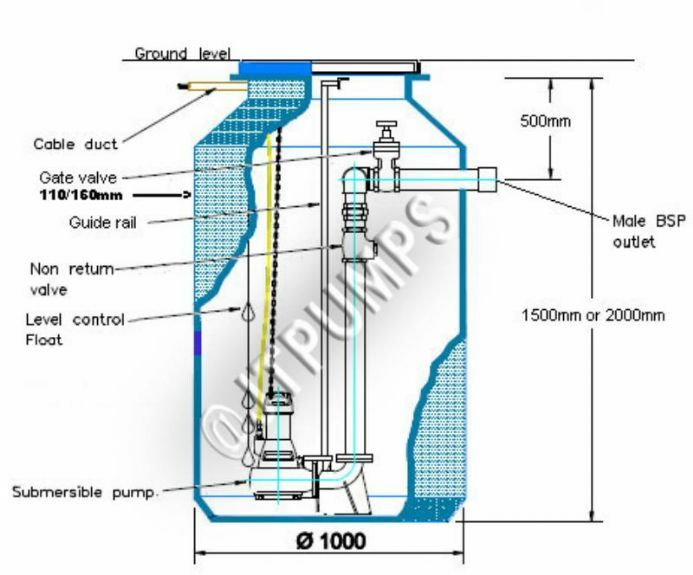 In situations where gravity drainage is impractical or impossible, one of the Guide Rail Packaged Sewage Pumping Stations from JT Pumps is the perfect solution. As a sewage pumping station, the Single Rigger comes pre-assembled for the easiest possible installation and operation. As a “job ready” sewage pumping station, it is shipped ready for action, and just needs to be connected up to get to work – so if you need a sewage pumping solution ready as quickly as possible, the 3-inch Sewage Pumping Station is ideal. With float switche included as standard, the Single Rigger is also capable of working automatically, lifting a stress off your shoulders and automating the task of pumping away sewage and wastewater, so you can rest easy knowing that the task is taken care of. 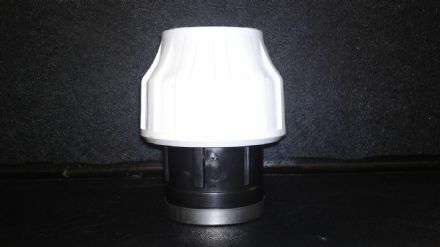 Particularly useful when water from drains and sewage systems collects below the level of the mains sewer drain, and gravity drainage cannot be relied on, the sewage pumping stations from JTPumps, like the single-rigged packaged sewage pumping station is able to pump water up to a head of 8m, providing more than enough power to reach the mains drainage, and comes with the ability to handle solids up to 65mm, giving you peace of mind that your sewage pumping station isn’t about to become blocked. The engineers at JT Pumps would recommend an MDPE 90mm Outlet Socket to accompany this pumping station. If you’d like to place an order or request a quote for one of our single-rigged sewage pumping stations, you can place an order on this page or get in touch with JT Pumps by calling 0844 414 5800 today! The pump experts at our head office will be happy to help you find the pumping station solution that’s perfect for you! If you’d like more information on our other sewage pumping stations, you can find it on our site or contact us via telephone on 0844 414 5800. We’ll be happy to answer any questions you may have and can help you find the perfect sewage pump for your needs. Excellent pump, great service and a high level of customer support, absolutely brilliant stuff from JTPumps. I know if I ever have a problem, all I’ll have to do is call!